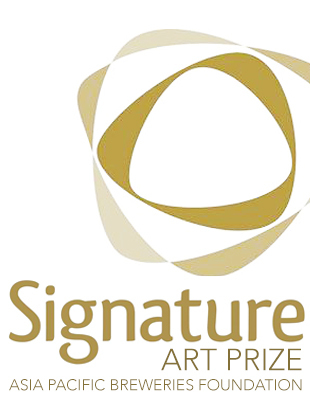 The APBF Signature Art Prize or in full The Asia Pacific Breweries Foundation Signature Art Prize is a premier juried prize established and organised by the Asia Pacific Breweries Foundation (APBF) and the Singapore Art Museum (SAM). The award series is the result of a 15-year partnership announced in October 2007 between SAM and APBF to develop and promote contemporary visual art in the Asia Pacific region with a donation of SGD2.25 million from the foundation. The APBF Signature Art Prize is a hallmark of distinction awarded to artists whose artworks represent a significant development in contemporary visual art in the Asia Pacific region. It is aimed in recognising the single most outstanding contemporary visual artwork produced in the preceding three years. The APBF Signature Art Prize also seeks to highlight new developments in the visual arts, stimulate lively public discussion and critical debate, and to provide a cross-cultural exhibition platform for established practitioners and significant emerging artists alike. 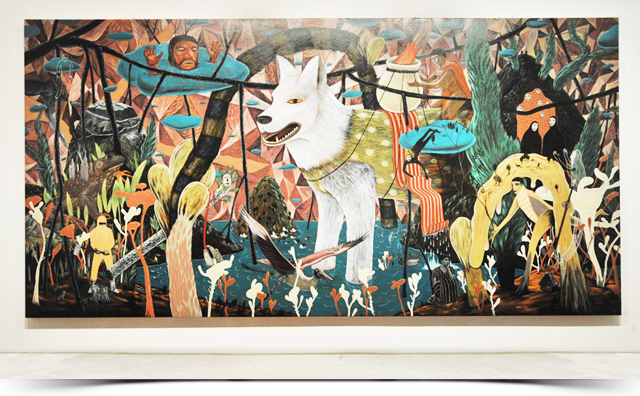 The APBF Signature Art Prize is a triennial competition with a cash prize amount to a total of SGD100,000. It was inaugurated in 2008 with a focus on the 12 countries of Cambodia, China, India, Laos, Malaysia, Mongolia, New Zealand, Papua New Guinea, Singapore, Sri Lanka, Thailand and Vietnam. Brunei Darussalam joined the list of countries in 2011, and in 2014 the third installment of the Art Prize has expanded its focus to reach over 38 countries and regions in the Asia Pacific. Ash Color Mountains. Close up of the artwork. A nominator is appointed for each country by the Singapore Art Museum to nominate, Syen Sofian the founder of Designers Alliance Brunei and a committee member of Brunei Art Forum has been appointed as the nominator for Brunei Darussalam. This is the second time Brunei Darussalam is participating and this year three Bruneian artists has been nominated with their work. Sam Siren and Alwie Salleh has been nominated with two paintings and one installation from Faizal Hamdan. Syen Sofian explained that artworks can be multi-disciplinary and there is no restriction on medium, subject matter and size. It is open to all forms of visual art such as painting, drawing, sculpture, mixed media, installation, video, photography, collage and even textile. 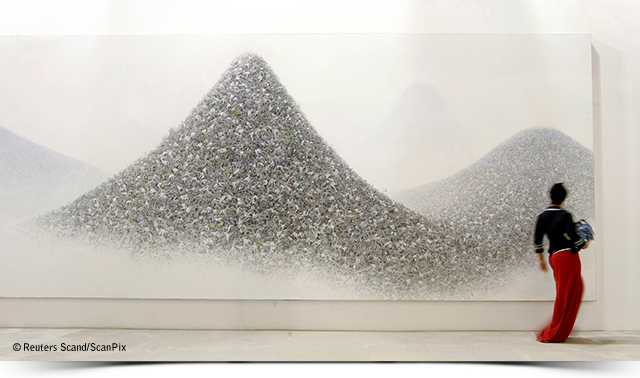 Artwork can also incorporate other type of media like sound. There are no restrictions on age limit although they must be active art practitioners and must have a record of exhibiting of at least one year. Work selected should represent the most outstanding artworks produced within the last three years. All the nominated work from all the participating countries will be publish in a book and only 15 Finalist Artworks will be exhibited at Singapore Art Museum. The exhibition will be from the 14th November 2014 to 15th March 2015. From the Finalist Artworks, the international panel of judges will further select one artwork to receive the Grand Prize and three artworks for the Jurors’ Choice Awards. The People’s Choice Award is chosen by the voting public. From end of year 2014 to early 2015, members of the public are invited to vote online or at the Museum premises for their favorite Finalist Artwork. 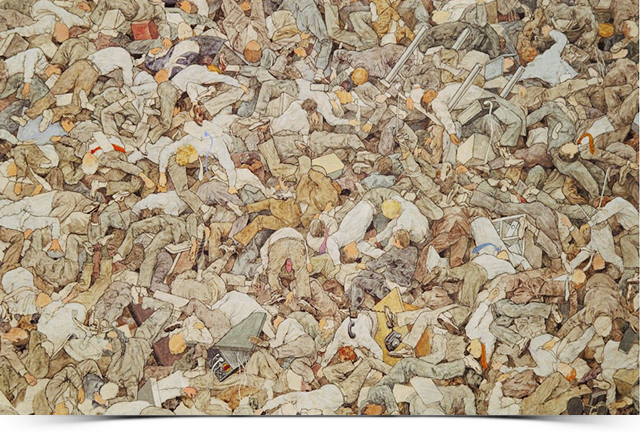 Public can see the complete list of nominated work for the APBF Signature Art Prize 2014 from the Singapore Art Museum Website.